These lists include contact information for architecture and history consultants, archaeologists approved to work with human burials and archaeologists qualified to analyze human remains. Instructions for consultants requesting consideration for federally funded subgrant projects. 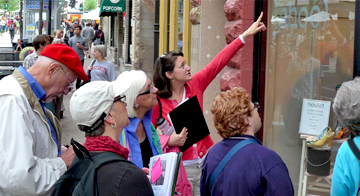 A list of resources for professionals recommended by the State Historic Preservation Office. Find guidance for undertaking architectural and historical surveys in Wisconsin. Find information, guides and forms to assist you with preservation laws and resources. Download the Wisconsin Archeological Survey Guidelines. Learn how archaeologists request approval from the Director of the Wisconsin Historical Society. Learn how to access the WHPD database.